I had the distinct pleasure of experiencing the miracle photographed above this past summer. 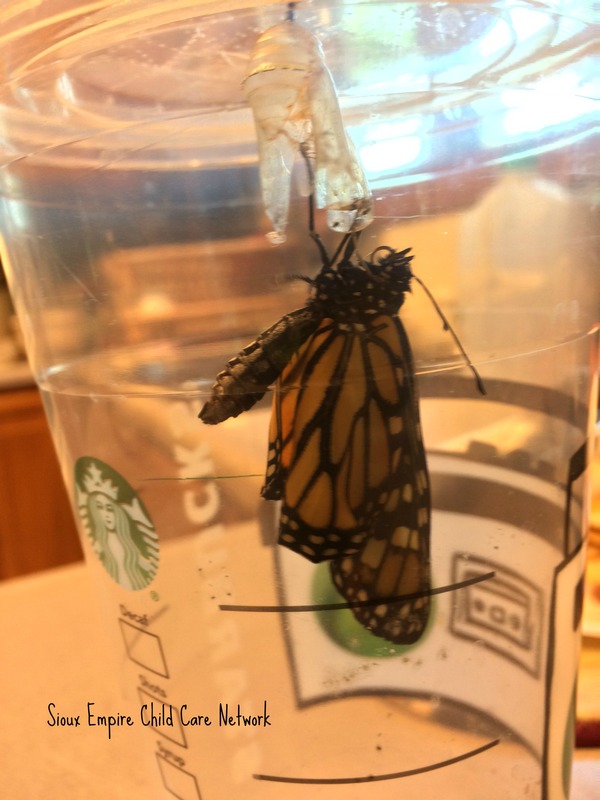 A colleague, Bridget Williamson, asked if I would be open to helping increase the numbers of monarchs by harvesting eggs from my milkweed plants. She went on to explain that the total numbers of monarchs are reported to be decreasing and that it was imperative that I might take an interest. I knew Bridget would be a great mentor. She lives in Sewell, New Jersey and has been harvesting eggs, nurturing young caterpillars, and later releasing monarch butterflies for years. 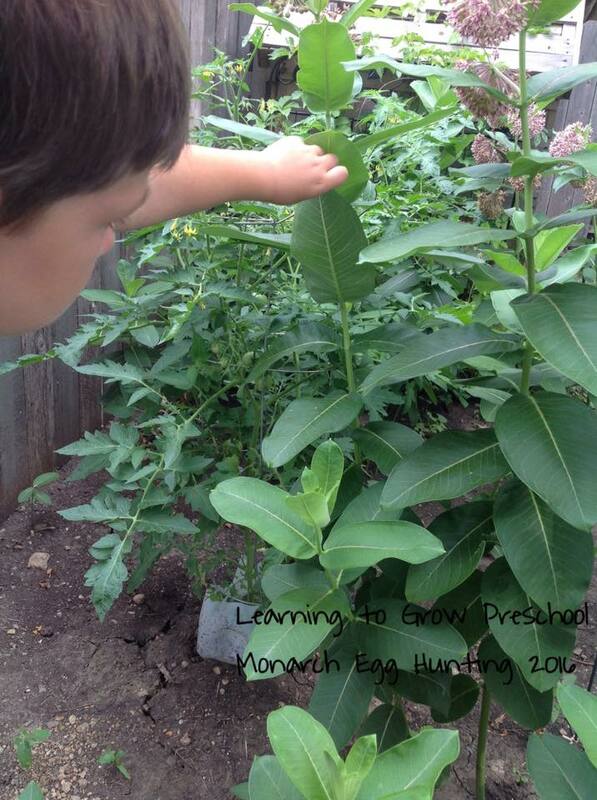 Learning to recognize a monarch egg was at first our greatest difficulty. We honestly brought in anything that looked possibly like an egg. It is best to look for the eggs on a cloudy day when you can better see their pearly like appearance. 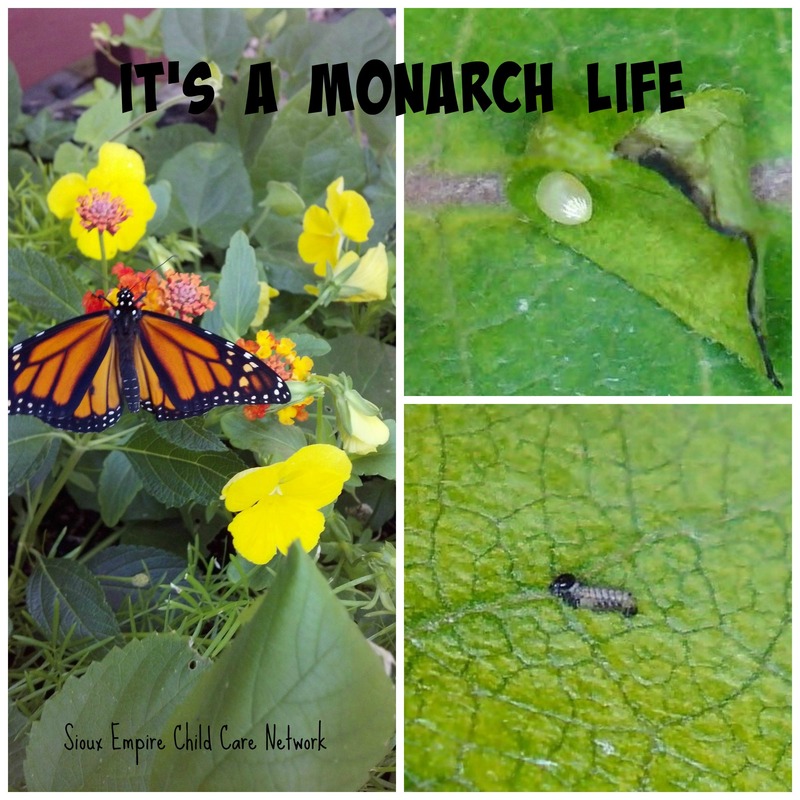 Typically, the female monarch will lay her eggs under the leaves of the milkweed. On occasion, they are found on the flowers produced by the milkweed. 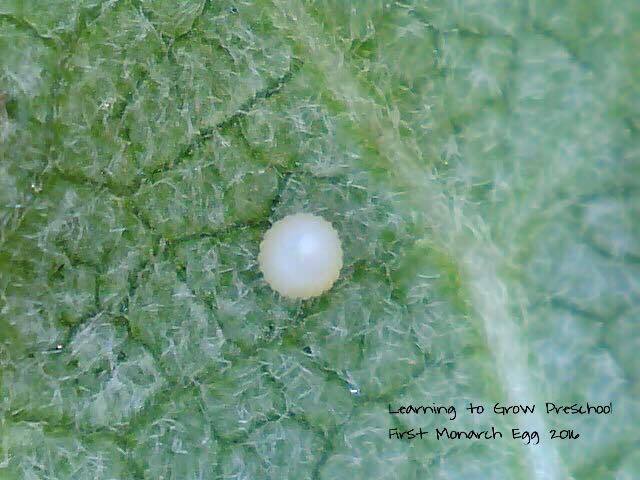 You can imagine the excitement of my students when we confirmed we did indeed have a monarch egg. At 200x magnification, you could not help but view its pearly whiteness, as well as, the vertical lines shaping the sides of the egg. 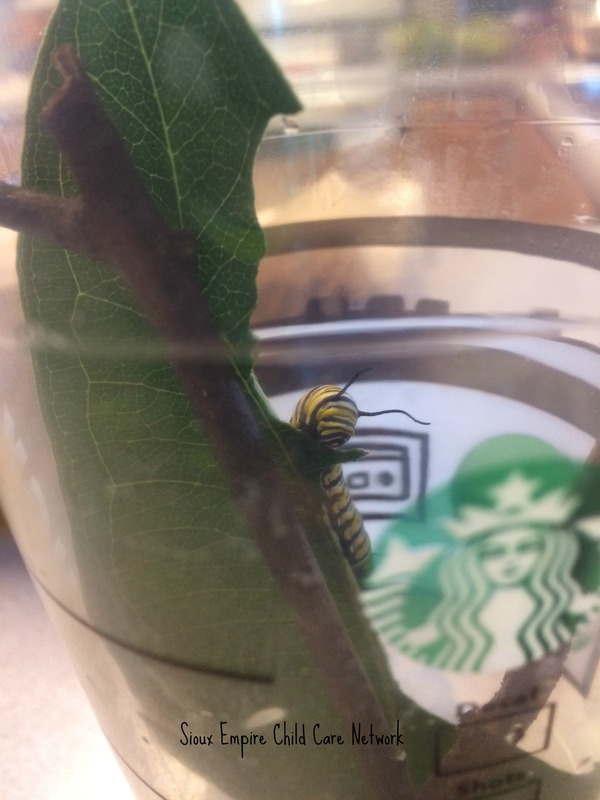 Because I wanted my preschoolers to witness the hatching and growth of our monarch caterpillars, I made a home for the eggs as we waited for them to hatch. I took a plastic fruit container and cut out a large section from the top lid. I super glued cheese cloth to the lid to let in needed air. 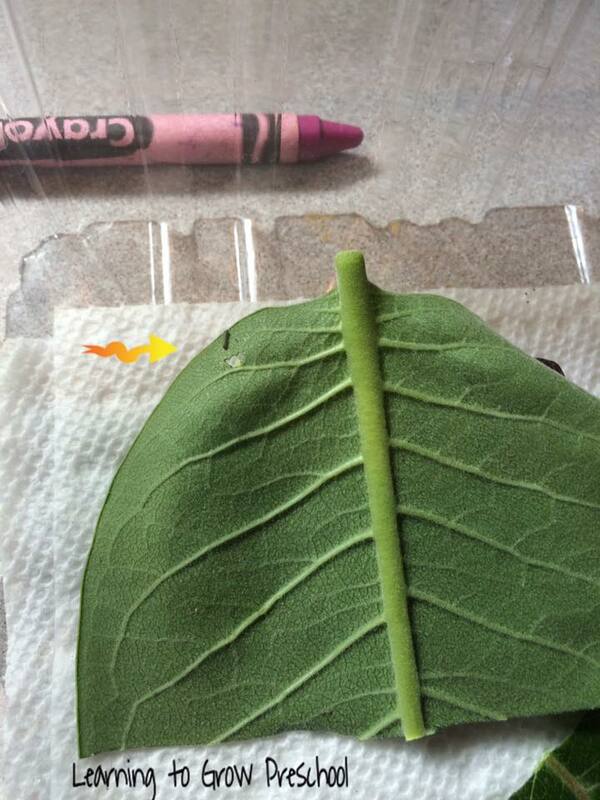 Very carefully, we changed out the milkweed leaves for a food source. 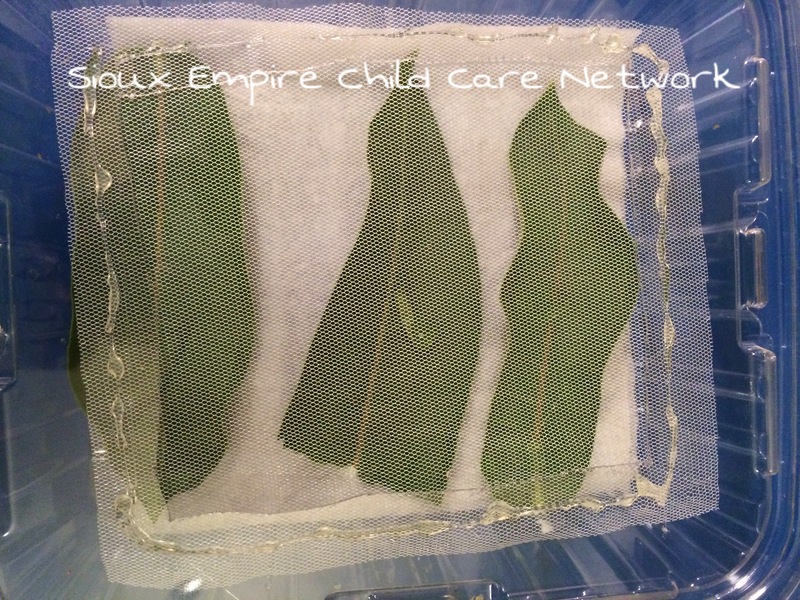 We laid the milkweed leaves on a moist paper towel to keep the humidity level optimal. 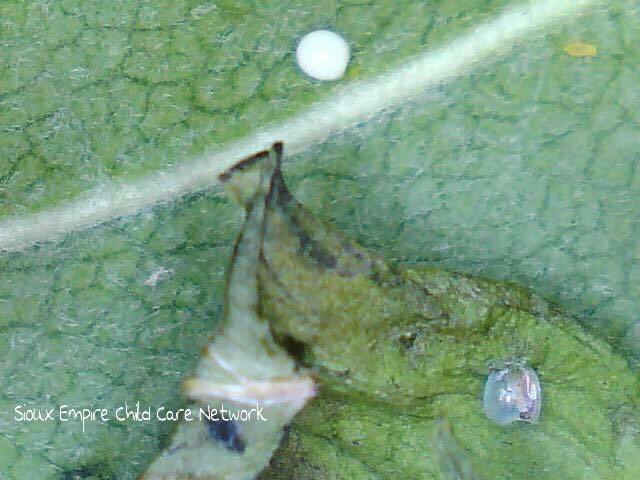 If you look to the far right, you can see a growing caterpillar inside a monarch egg. This photo was taken again with the Smartscope iGO at 200x magnification. 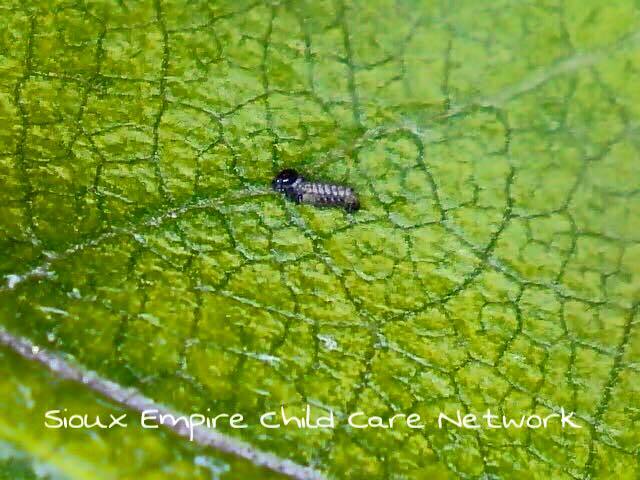 Immediately after hatching, the monarch caterpillar eats the egg it came from for extra rich nourishment. Not all eggs hatched. 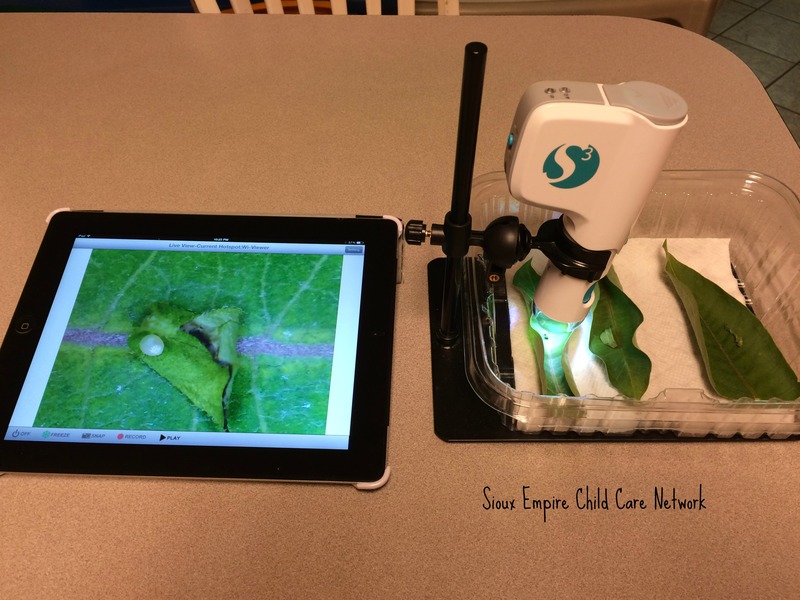 So when we could view a new baby caterpillar at 200x magnification, it was time to celebrate its birth. This is the size of a newly hatched monarch caterpillar with the human eye. Because of its small size, the best way to locate your caterpillar is by looking for holes the caterpillar left by eating away at the milkweed. Above, you can see three monarch caterpillars in three different stages of growth. 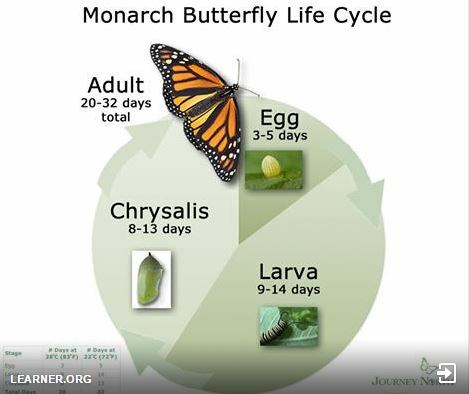 Using a Google search, I found this helpful chart that depicts the stages of development of a monarch butterfly and the number of days of each stage. 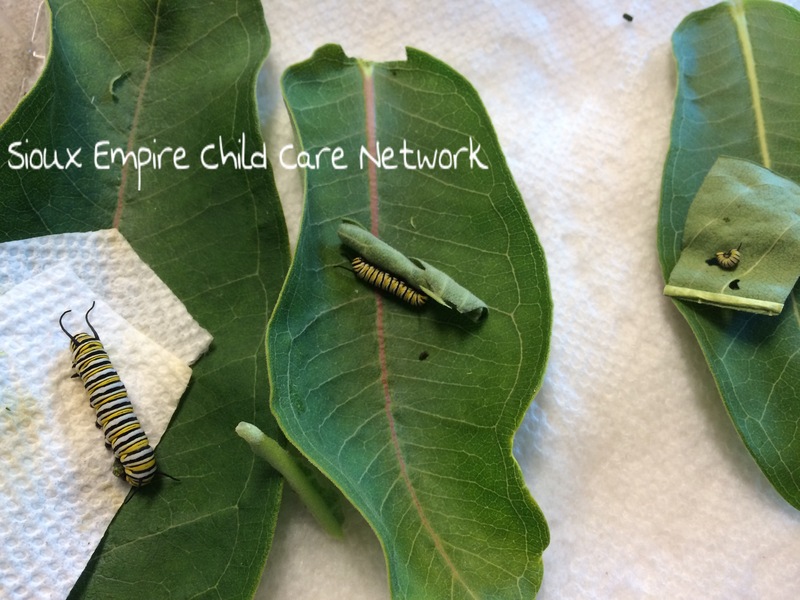 When our monarch caterpillars needed their own space. We transferred them to their own cup for fear they might eat each other. Eric Carle was not exaggerating in his book, The Very Hungry Caterpillar. 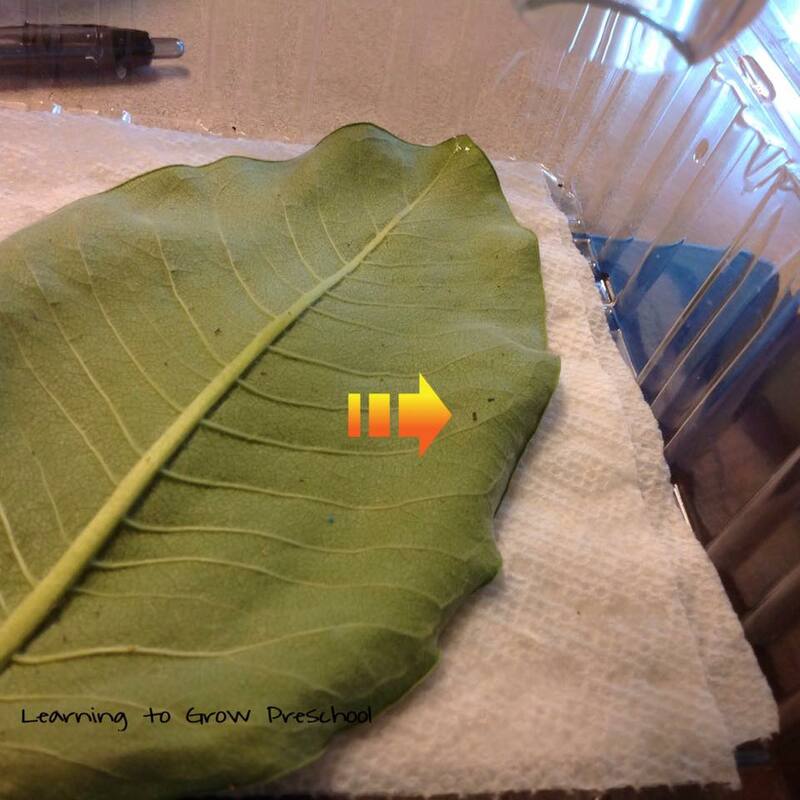 Many fresh milkweed leaves were provided during the caterpillar’s rapid growth. 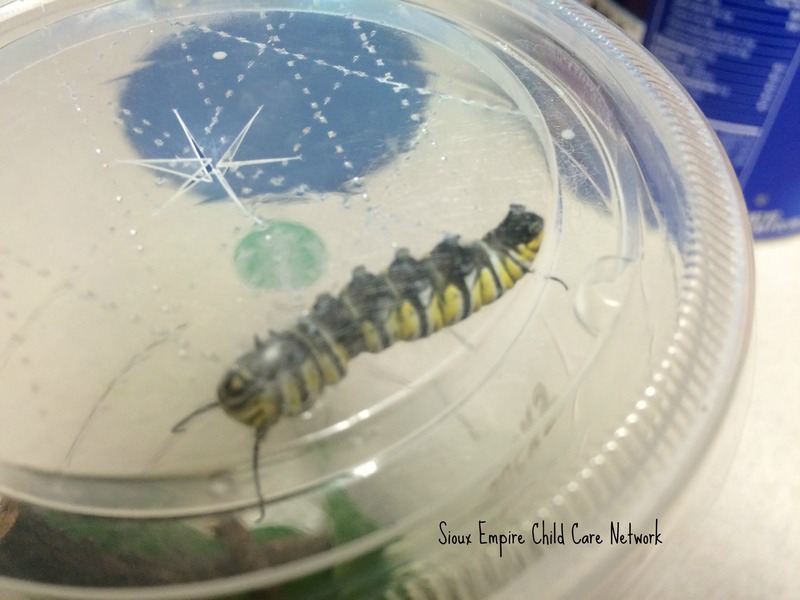 Soon the caterpillar stopped eating and typically affixed itself to the top of our container forming a J formation with its body. 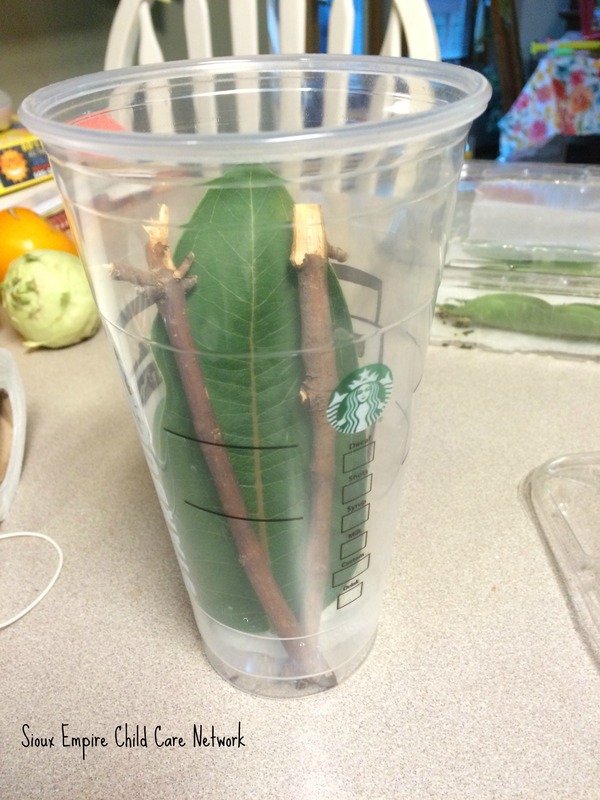 The transformation into a chrysalis was found to be a rapid process and very easy to miss. IMG_0651 This link will take you to a 3 minute video file where you can witness a caterpillar form a chrysalis. 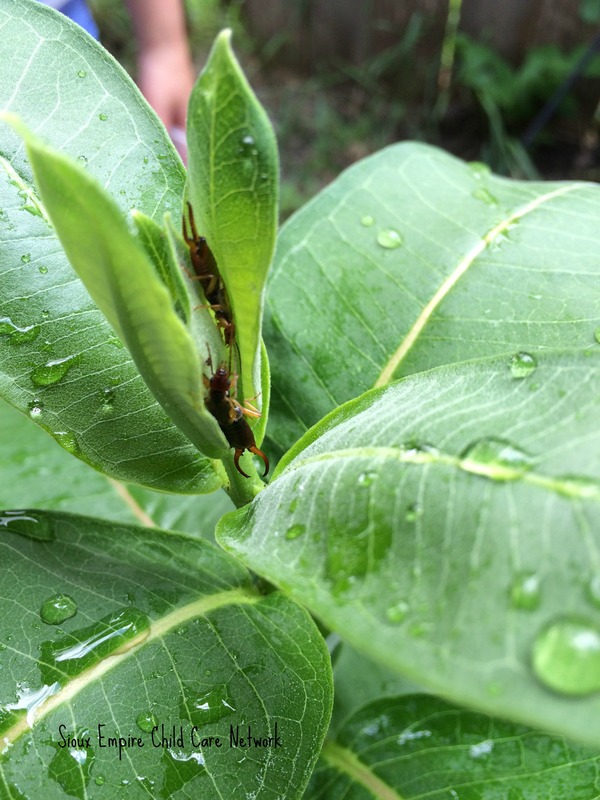 This photo shows (from right to left) a monarch caterpillar in a J formation ready to form a chrysalis, a butterfly about to emerge from a chrysalis, and a newly formed chrysalis. Aren’t they beautiful? 8 to 13 days later one gets to witness another miracle as a butterfly emerges. 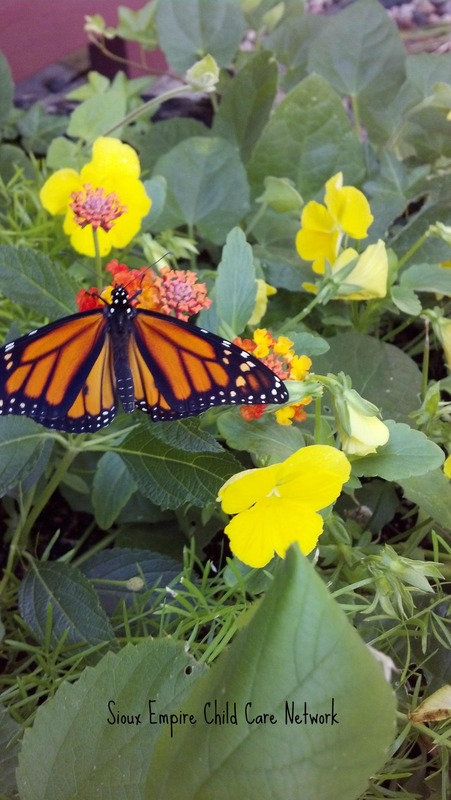 When your butterfly’s wings have become dry and strong, you can have the pleasure of releasing your monarch butterfly near a nectar source to complete its life cycle once again. 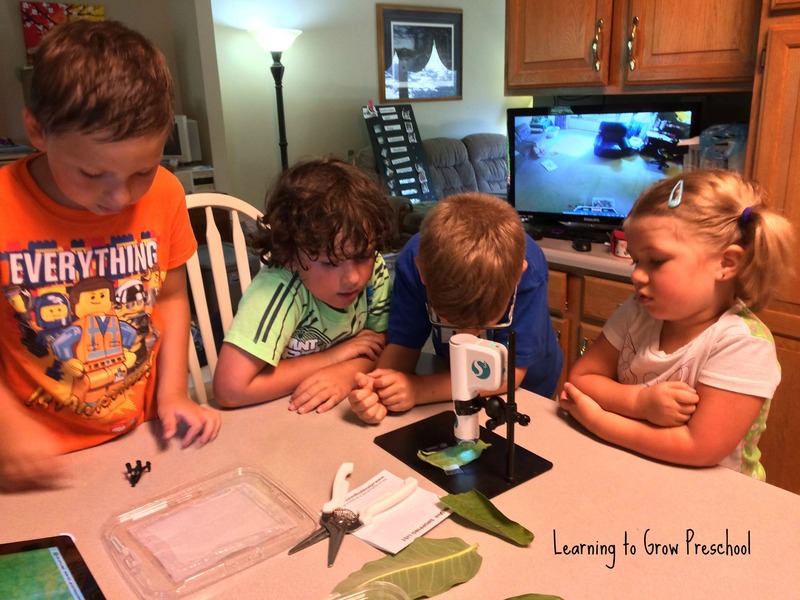 We were finding the eggs of monarchs on our milkweed plants we transferred in for that sole purpose. Adult monarch’s drink the nectar of milkweed and many flowers to stay hydrated and for nourishment. 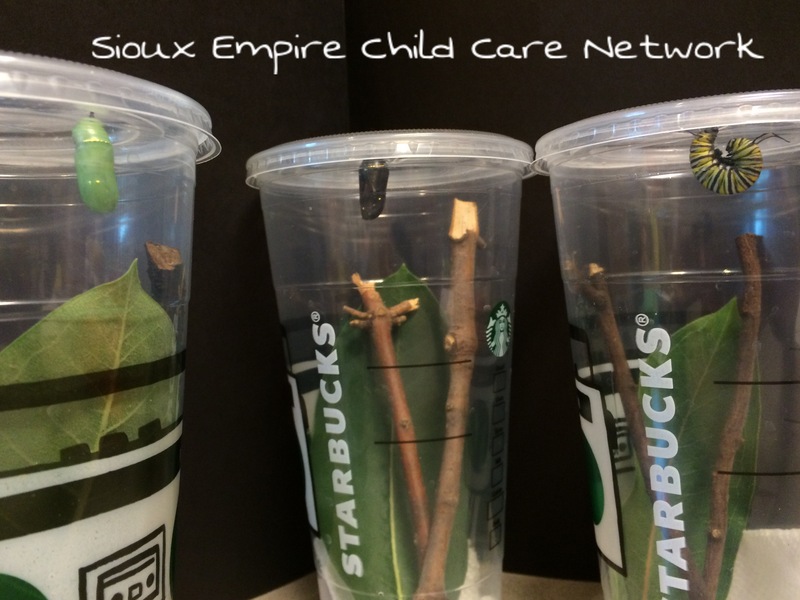 Young caterpillars can not survive without milkweed plants (Asclepias spp. ), the only plants they eat. Planting or transferring native milkweed into your gardens is a great way to increase monarch numbers. You will want to do a quick Google search and determine which Asclepias species of milkweed is native to your state or country. There will be many. 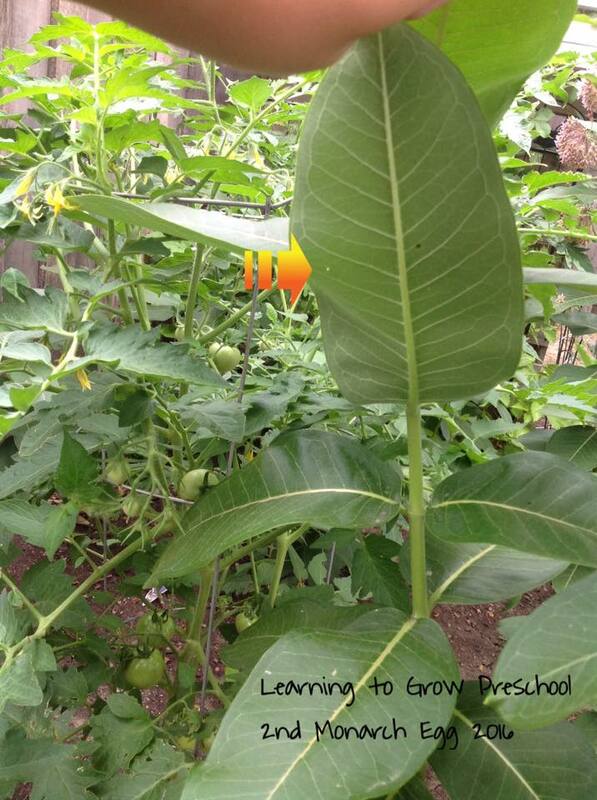 Choose milkweed plants that haven’t been sprayed with pesticides or herbicides. Both can hurt caterpillars and adult monarchs. There is one species of milkweed, Ascelepias curassavica, “Tropical Milkweed” that you will want to stay very clear of. It may be found in your local flower nursery. This species of milkweed is know to harbor a lethal or damaging protozoan parasite, Ophryocystis elektrosciorrha (OR) that greatly weakens young emerging caterpillars lessening their ability as monarchs to make the annual flight to central Mexico… their winter home. 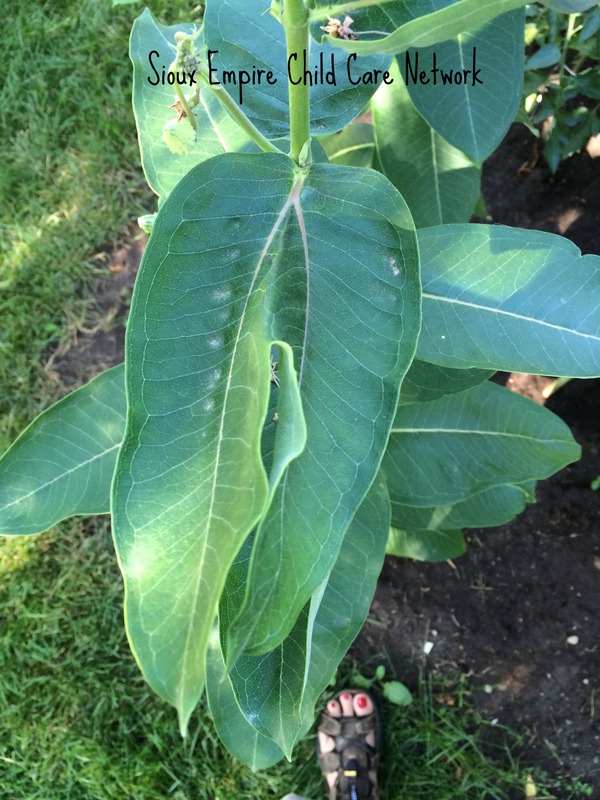 You can promote new growth or foliage on your milkweed plants by cutting off seed pods, flowers, or sickly leaves and stems from the plants. The absence of flowers will reduce visits from nectar seeking predators. You will need to check all plants daily for predators or foreign eggs. You can reduce or remove your aphid population by “rubbing them out”, “brushing them aside”, “hosing them down”, or finally by a careful “alcohol overdose”. Do a Google search for the latter treatment. I hope the photographs and information above might entice you to witness the life cycle of the monarch butterfly or take a more active role in increasing their numbers. It was an experience not to be missed.